Subject: HONDA PROMOTION RESULT 2006!!! We are pleased to inform you of the release of the long awaited results of the HONDA CAR INTERNATIONAL PROMOTION PROGRAM held on the 20th of JULY, 2006.You were entered as dependent client with: Reference SERIAL NUMBER: 652-662 and Batch number AT-040SB06-03. 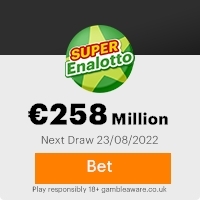 Your email address attached to the ticket number: 2752246896 that drew the lucky winning number, which consequently won the sweepstake in the first category in four parts. You have been approved for a payment of �150,000.00 (ONE HUNDRED AND FIFTY THOUSAND GREAT BRITAIN PONUCE STERLING.) in cash credited to file reference number:IPL/4249859609/WP1, alongside with Brand New Honda FR-V. This is from a total cash prize of five million euros shared among all our international winners in all categories. names and addresses, we ask that you keep this award personal, till your claims has been processed and your funds remitted to you.This is a part of our security measures to avoid double claiming or unwarranted participants or imposters, taking advantage of the situation. You are to contact your/our-accredited agent for your claim now. He is your agent, and he is responsible for the processing and transfer of your winnings to you. YOUR SECURITY FILE NUMBER IS W-91237-H�67/B4 (keep personal) Remember, your winning must be claimed on time (atlest 1-2weeks) . Failure to claim your prizes (CAR/CASH) would result to forfeiting and will be used for next 10,000,000 euros AND CAR international lottery program. Furthermore, should there be any change in your contact address, do inform your claims agent as soon as possible. This Email with the Subject "HONDA PROMOTION RESULT 2006!!!" was received in one of Scamdex's honeypot email accounts on Fri, 21 Jul 2006 15:44:33 -0700 and has been classified as a Generic Scam Email. The sender shows as hondamotors_promo08@portugalmail.pt, although that address was probably spoofed. We recommend that you do not attempt to contact any persons or organizations referenced in this email, as you may expose yourself to scammers and, at the very least, you will be added to their email address lists for spam purposes.